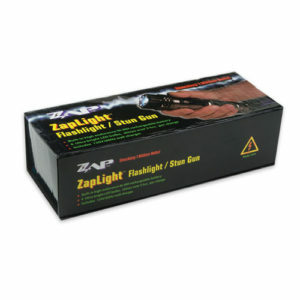 The look and feel of the Zap stun baton flashlight tells you immediately of its high quality and rugged construction. 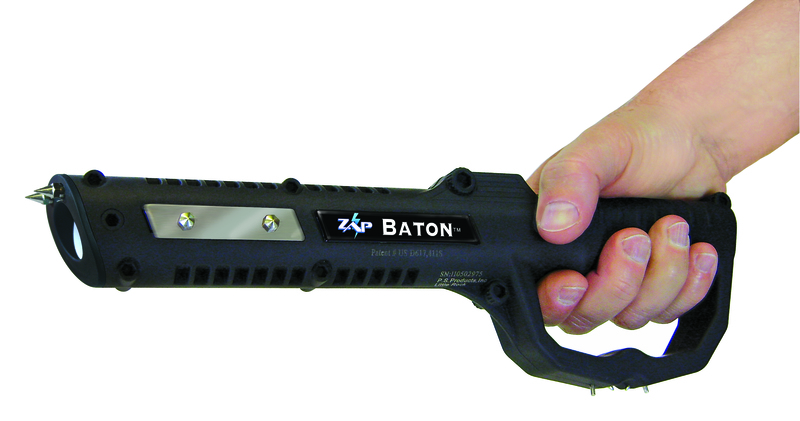 The look and feel of the Zap baton self-defense weapon tells you immediately of its high quality and rugged construction. 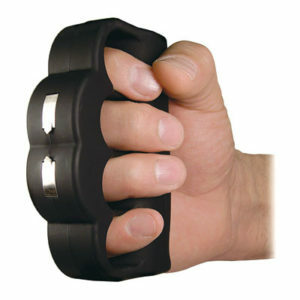 The self-protection weapon provides 1 million volts of power. 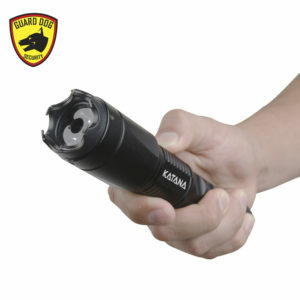 It has a comfortable rubber grip and 30-lumen flashlight that will shine up to six hours on a charge. 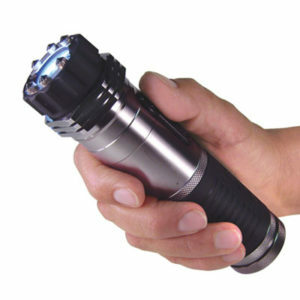 The Zap stun baton flashlight is equipped with 4 points of shock contact – the tip, both sides, and below the handle. 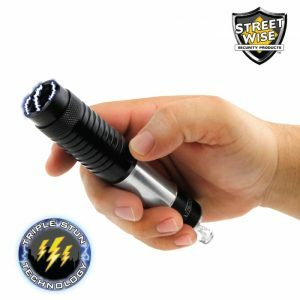 Additionally, it features 2 spike electrodes for added protection and the ability to collect DNA during an attack. 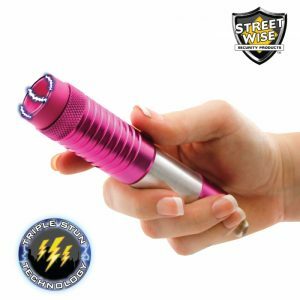 The electric stun gun baton has a rechargeable battery that lasts up to 2 months on a single change with a life expectancy of up to 500 charging cycles. This battery does not need to be replaced. 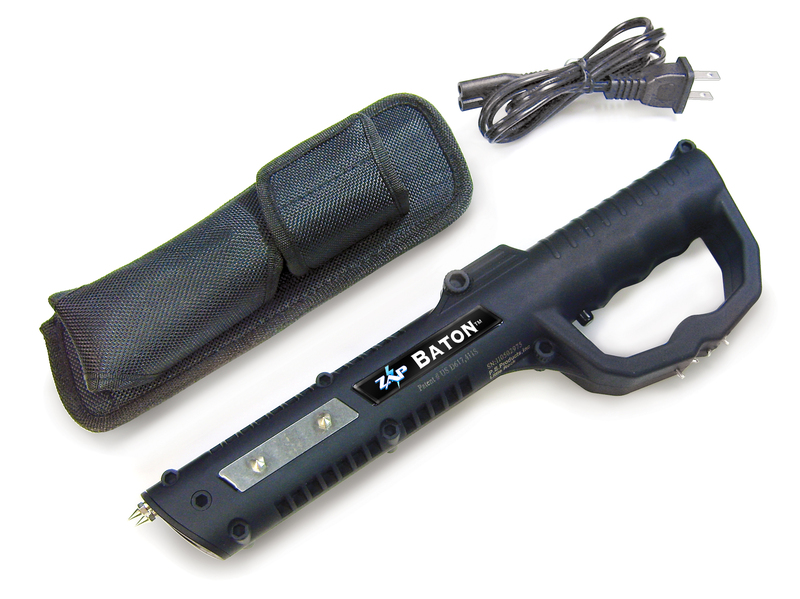 Patented Ultra-sharp Spike Electrodes can penetrate clothing to jab or scratch, causing extreme pain. 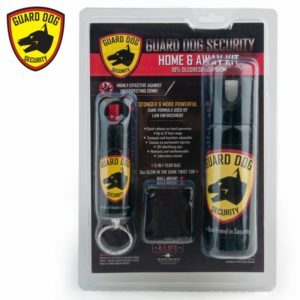 They can also collect the attacker’s DNA which may be used for future identification.